Product prices and availability are accurate as of 2019-04-18 23:13:05 UTC and are subject to change. Any price and availability information displayed on http://www.amazon.com/ at the time of purchase will apply to the purchase of this product. 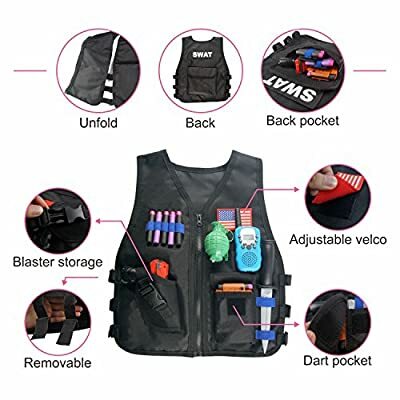 This Tactical Vest Kit will allow you to carry extra fire power on battles.The kids tactical vest, included ammo and Quick Reload Clips let you stay heavily armed even while you are on move. With all the ammo and fire power you can fit in your Tactical Vest and your blaster in your hand, you'll beready for any battle situation! 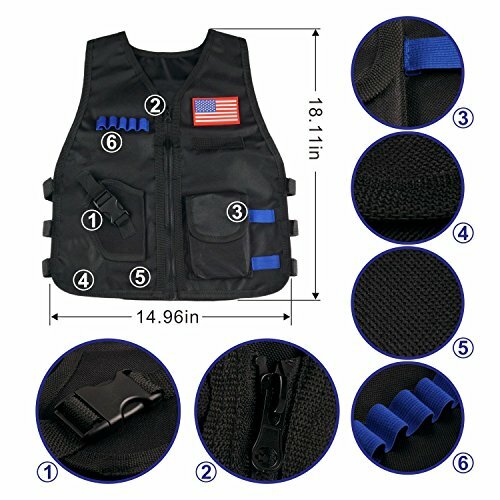 The side of the tactical vest can be adjusted by the Velcro, suitable for growing kids. 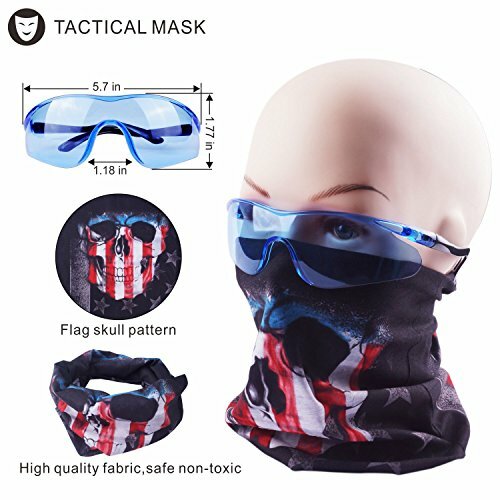 The Tube Face Mask can help to hide your identity and offering awesome outlooking in the battles. Make of 100% breathable polyester, lightweight, breathable, stretchable for all size. A protective Vision Gear is necessary for Nerf wars, protects you or kids in game and gives you the sharp look of awesome competitor. This tactical vest suits for kids, and teenagers, Adults may be not fit. 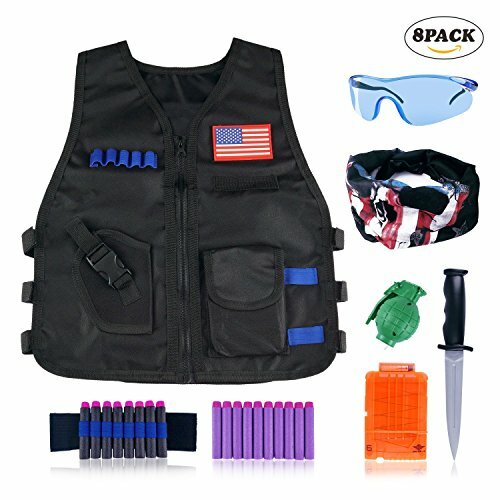 Tactical vest kit lets you carry along lots of extra ammo and firepower for nerf gun fights. Including 1 x tactical Vest, 1 x Tactical Mask, 20 x Refill Darts, 1 x Protective Glass, 1 x Quick Reload Clip, 1 x Wrist Band, 1 x Rubber Soft Dagger ,1 x Toy Grenades. Made of Double waterproof thickened Oxford cloth, with 600D thickened outside, and 420D inside,stronger and more safe than other regular tactical vest in the market, with adjustable velcro straps to fit for children Age 3 to Age 12. the pocket in front is perfect fit for a zombie double blaster. 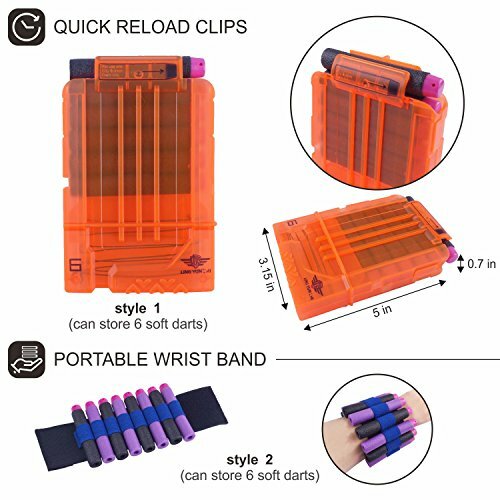 Refill darts made of high quality plastic and EVA Foam, non-toxic material;The transparent Quick reload clips could store up to 6 extra darts, both could work with all N-Strike Elite blasters and most original N-Strike blasters.Have a safe Gun War! The Vision Gear that protect you in the game and gives you the sharp look of a serious competitor. 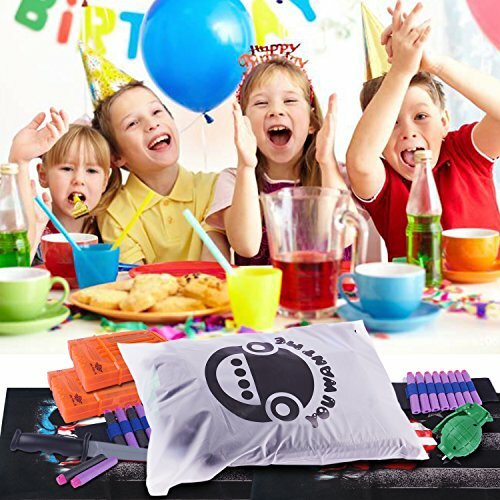 And the wristband can storage up to 8 soft darts.The seamless face tube mask make team playing stark, Keep the perspiration off your face when the kids fight for nerf guns war game. 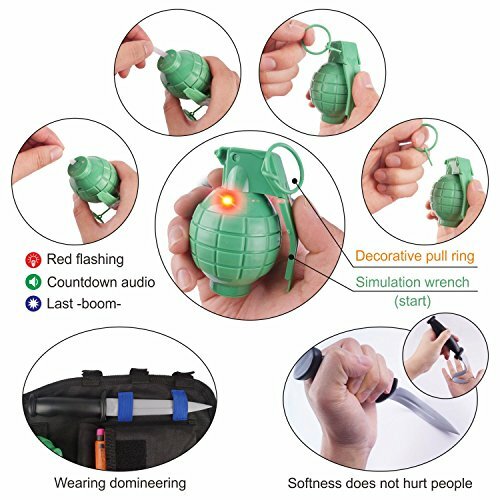 Valuable Gift come with Rubber toy dagger and toy Grenades can make you have a funny pretend play. Your friends will be shocked by this little gadget novelty toy when you are in the gun war.